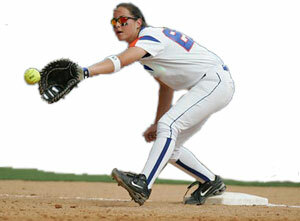 A 1st baseman will sometimes slightly miss tagging the 1st base bag with her foot when a throw is off the mark. Since an umpire’s angle on this play is usually poor, avoid having this play called “safe” by telling your 1st baseman to NEVER go back with her foot to re-touch the bag! I know it sounds crazy but the retouch is what tells the umpire the bag was missed and not the missed tag itself.